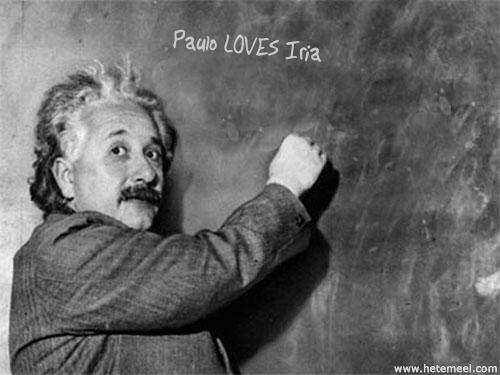 Remix Einstein Picture with Your own Blackboard Writing. The Dynamic Einstein picture lets you specify your own text for the Mighty Hip Einie to be writing on his personal chalk board. Channel 4 TV Series, about IT. After recently disabling various XP services in order to speed up my computer’s startup time, I ran into the following problems which were solved by activating the respective services. This was due to me disablaying the Automatic Updates service, which is required to run BITs, which in turn relies on Automatic Updates to be running. To resolve the solution, run services.msc and checked to see that the services Automatic Updates and BITS are set to automatic. Once do, restart the computer. There are two solutions to this problem. The first, non recommended solution, involves disabling the Visual Studio Hosting Process within all your projects. This is done in the Debug tab of the respective project’s properties. The second, recommended, solution involves checking to see if the Terminal Services service is started and if not, then change its properties to automatic and reboot the computer. The open source WinMerge 2.4 gives system administrators a powerful, yet easy to use, graphical application for comparing files. You can compare IIS 6.0 metabase files, ASP.NET Web application configuration files, custom VBS deployment scripts, and so on, keeping elusive deployment and configuration mismatch problems at bay. 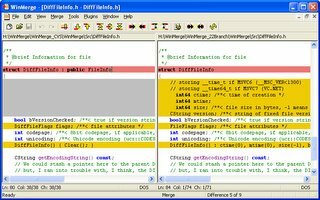 In addition to highlighting the difference between files, the application can merge changes between files. This is very useful when you may have had one system administrator make a change on half your servers and another make a different change on a different server. WinMerge also does directory comparisons to ensure the number of files, timestamps, and sizes are all in sync. So the next time a robocopy script fails, you will have a quick way to determine exactly where it left off in a file copy. If you are looking for a Trojan that has attached itself to your binaries, a clever trick is to use WinMerge to detect the file size differences between your Windows servers. WinMerge also supports Unicode if you are running in a 32-bit character environment. Of course, database administrators will also love this tool, as it allows them to quickly and visually compare and merge SQL scripts. The application was created with application developers in mind and provides basic integration with Visual SourceSafe® and ClearCase version control systems. Although the tool does not currently support history or check in tools, it does let you check out files under version control and make changes. Developers may also find this an integration life saver for merging projects into a unified form before putting the project under source control. The product is free and is licensed under the GNU public license. With the soon-to-be released next version of Microsoft® Office (currently code-named “Office 12”), there will be new default file formats for Microsoft Word, PowerPoint®, and Excel®. These new formats, called the Microsoft Office Open XML Formats, will open up a whole new world to Office developers. By default, Office documents will be open and accessible, as they will use standard ZIP and XML technologies with full documentation made available under a royalty-free license. These technologies are an improvement on the existing XML formats that shipped with Microsoft Office 2003 Editions, but those existing Office 2003 XML Reference Schemas can be used today to implement solutions that work with the document data and they provide a great way to gain an understanding of what developing with the new default formats will entail. POP3 – How it Works. POP3 is an Internet protocol that almost all mail clients support, which lets users access the e-mail on their mail server. As with many Internet specifications, POP3 is simple. It consists of a small number of commands sent in human-readable form over a line-oriented TCP/IP connection, the same underlying protocol used by Telnet and SMTP. This makes it particularly easy to learn, since a person can play the role of the POP3 client, typing commands and reading responses as they are sent. You are currently browsing the "Impossible is Nothing!" - adidas blog archives for February, 2006.